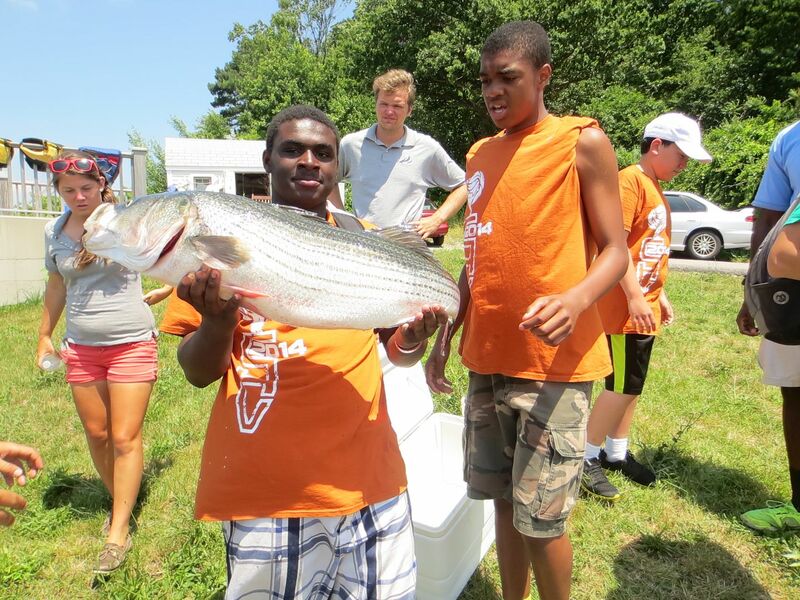 This week started off perfectly at Save The Harbor. The weather was hot, the kids were energetic and everyone was excited to start the first week. We arrived at Blacks Creek and many of the kids were there well before 9. They were all ready to jump into the water, as was I, due to the hot temperatures. We found a massive amount of hermit crabs and many of the children clearly had experience with the creatures because they grabbed them fearlessly. You would normally expect a crab to scare a 6 year old, but it did not scare these guys. 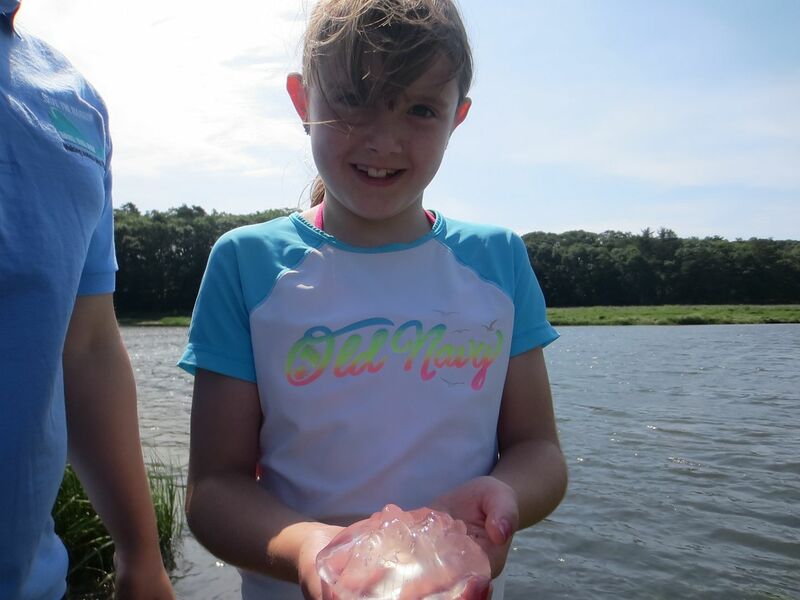 We also found tons of jelly fish in the water although they were all dead, however the kids enjoyed how squishy they felt. We even had a horseshoe crab found by tom which amazed everyone. A very small hermit crab discovered by a camper. 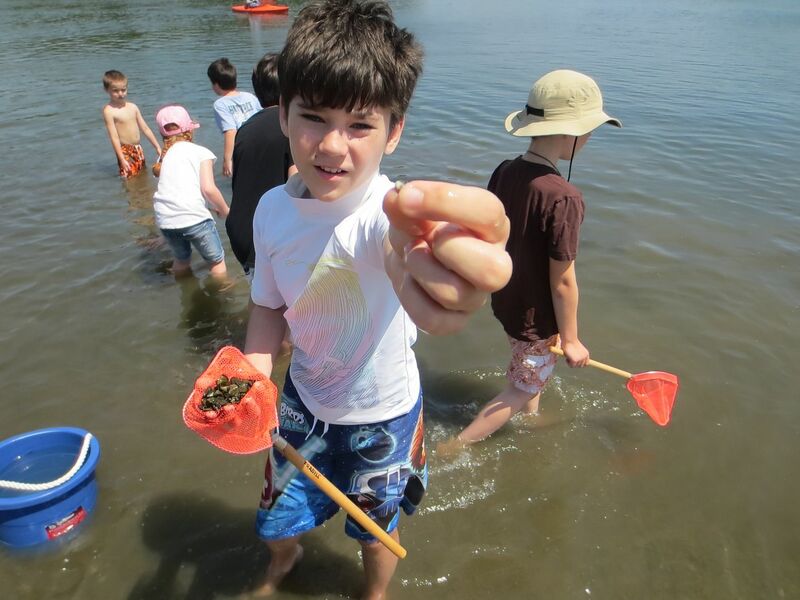 Next we went to Camp Harbor View and during our very sunny day at Camp Harbor View we were wrapping up our final beach walk and as we were bringing our last group in, a bird dropped a fish that it had caught and some of the kids brought it over to us. The looks on their faces were priceless, they ran up to us full of questions and excitement. They fired at us with questions asking what type of fish is it? Is it dead? Can it grow its skin back and regenerate from the claw marks? It was wonderful to see their fascination and interest in the menhaden fish that fell from the sky and it made the conclusion to our day at Camp Harbor View quite entertaining. 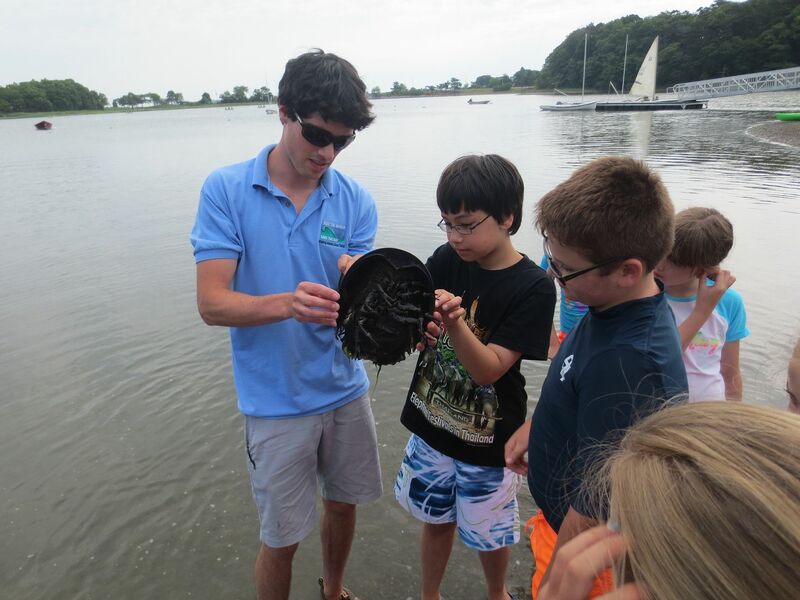 Tom showing the horseshoe crab he found in the water.